Rep. Scanlon urges passage of bill to protect women, children and adolescents. Joined by many of his colleagues, Rep. Sean Scanlon, House chairman of the Insurance and Real Estate Committee, calls for passage of legislation that protects Essential Health Benefits and women’s health care. The legislation, HB 5210, An Act Mandating Insurance Coverage of Essential Health Benefits and Expanding Mandated Health Benefits for Women, Children and Adolescents, codifies the Affordable Care Act’s ten “Essential Health Benefits” and provisions regarding access to contraception into state law. 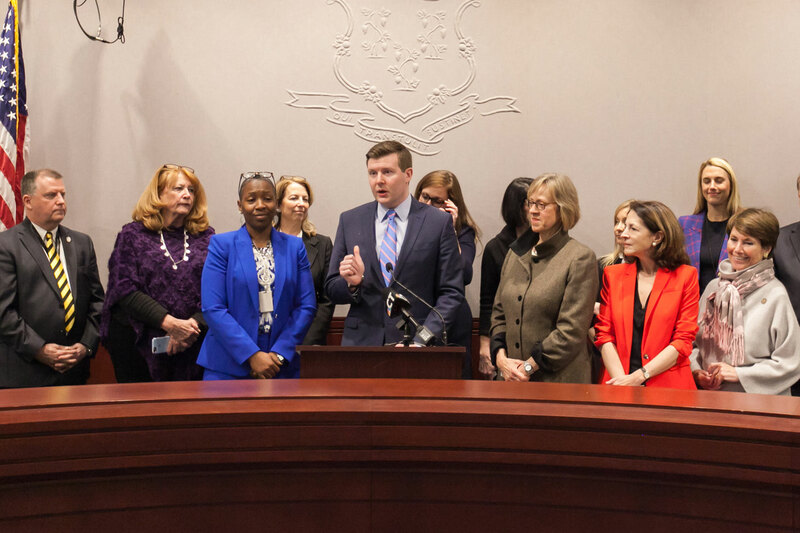 Rep. Scanlon was joined by the bill’s co-sponsors at a press conference: Sen. Mae Flexer and Reps. Robyn Porter, Cristin McCarthy Vahey, Caroline Simmons, Liz Linehan and Christine Conley, along with advocates.